The animator Yasuji Mori used to call Hiroshi Okawa (1896-1971) the King Hippo, describing him (albeit not to his face) as a distant, preoccupied man in a suit whose approach would strike fear into the hardest of section chiefs. If Okawa was coming to visit, even the boss would have a mop out. 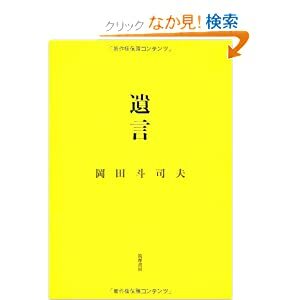 Nobuyuki Tsugata’s new Japanese-language book, The Man Who Aimed For Disney – Hiroshi Okawa: The Forgotten Entrepreneur, labours under the weight of its two subtitles, both of them seemingly concocted less for the benefit of readers than to ensure that the right tags are in place for search engines. 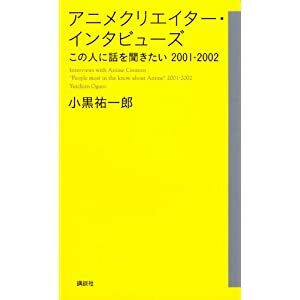 Tsugata regards such phrases as points to be considered rather than statements of fact, as well he might. 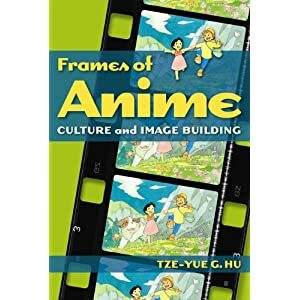 I bristle, for example, at the suggestion that Okawa truly is “a forgotten entrepreneur.” Obscure he may be, but of the two English-language books that cover his era, Hu Tze-yue has five references to him in her index to Frames of Anime, and my own Anime: A History has eight. Moreover, Tsugata’s own publication record has made him the institutional memory of the anime industry – he’s pretty much the guy who decides who is forgotten and who is not, and if he’s written a book about you, it’s fair to say everyone in the field will know who you are. Okawa certainly aimed to be the “Japanese Disney”, and it’s this element of his career that has proved the most problematic in historical memory. That’s because, of course, the Astro Boy creator Osamu Tezuka also wanted to be known as the Japanese Disney, and the Tezuka estate has been far better at pushing its case. We might scoff today at such fervent auto-orientalism, but as Tsugata has argued in earlier books, while Tezuka did a marvellous job with public relations, Okawa has a valid claim to the crown from a business point of view. After many years chronicling the world of animators and artists, Tsugata drags himself far from his comfort zone to talk about the life and times of an avowed Suit. He has no qualms, for example, about describing Okawa as “a film studio boss who knew nothing about films.” Okawa arrived at Toei Animation by the oddest of routes, starting his career as an accountant at the Ministry of Railways (“There was no man better with an abacus”), before being head-hunted to work for the Tokyo Rapid Electric Railway (Tokyu) corporation in 1942. He entered the post-war period as a middle-ranking executive at a company that was swiftly diversifying, pouring infrastructure profits into developing the first of those fantastic shopping malls that can be found at Japanese train stations. Don’t just get on the train home, stay and have dinner in a nice restaurant; do your shopping in our department store; catch a movie! In 1946, Okawa found himself shunted over to a new role as the manager of a baseball team that Tokyu had somehow acquired. This moved him inexorably into the world of commodified entertainment, as he worked to turn baseball into more than just a run around the local park, but a media event that demanded merchandise, fixed sites, novelty food, and season tickets… Okawa became instrumental in the funding of the Pacific League, in which his team competed against a bunch of others, dragging fans around the country (by train, of course) to witness more matches. Groomed as a likely president, Okawa was shunted sideways yet again, put in charge of turning around a trio of media companies, merged as Tokyo-Yokohama Films, Oizumi Films, and their parent Tokyo Film Distribution. This unwieldy mess, described by Okawa himself as a lame three-legged racer, hobbled by its own ties and deep in hock to loan sharks, is known today by a contraction of the words for Tokyo and Film, as “Toei”. Among its holdings was a modest collection of 36 cinema theatres. 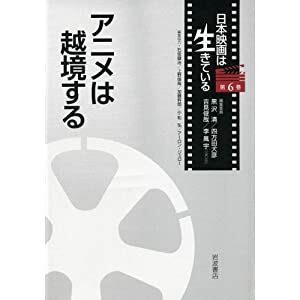 In an epitome of integration, Okawa helped to make the films that were shown in the cinemas and watched by the passengers who had eaten at the restaurants… funnelling money back into Tokyu at every stage. Okawa dragged Toei out of the hands of its gangster creditors and into the arms of legitimate banks. He scooped up new film talent among refugees from Man-Ei Studio, newly returned from Japan’s lost puppet state of Manchuria. He ducked and dived in the movie market in search of new niches, heading downmarket but with a promise of more bangs for the buck by offering double bills on the same ticket at Toei cinemas. He scored his first big hit mere months after the end of the US Occupation with The Tower of Himeyuri (1953), a weepy about a unit of nurses killed at the Battle of Okinawa. In pursuit of the children’s audience, and in anticipation of the rise of television, he also acquired the struggling animation studio Nichido, renaming it Toei Animation in 1956. Nichido’s animators were punch-drunk after a decade of living hand-to-mouth, and reported that Okawa was “more enthusiastic than us” about the prospects for animation. And this is where Tsugata’s book comes into its own, as he investigates the degree to which the success of Toei Animation in the 20th century can be credited to the talents of its many famous animators, or to the stern money-man who pushed them on to greater things. In animation terms in the 1950s, making a full-length feature film was an enterprise akin to breaking the sound barrier. It was not merely a case of building up the talents, training and materials necessary to get a workflow going on a 70-minute movie, it was the pay-offs in exhibition when that movie could sell its own ticket. Until Japan could produce its own feature-length cartoon, its animation output was doomed to remain as filler. Okawa, however, conceived a plan to churn out animators in an on-site training exercise, until he had so many that he could make a film. He got his wish in 1958 with the release of Hakujaden, Legend of the White Snake, a film that conveniently filled the gap left in Japanese cinema bookings by the petering out of Disney movies postponed since the war. He also pinned his hopes on export, hoping to ship the Chinese-themed film out to other Asian markets, effectively playing the race card against Disney, and banking on “Asian” trumping “Japanese” in the eyes of foreign buyers. A rift grew ever wider between Okawa and Tokyu after the death of the company founder, Keita Goto in 1959. Okawa, it was said, had once been told the corporation would one day be his, and was understandably at odds with Goto’s heir. Tokyu effectively cut Toei free in 1964, right in the middle of its labour struggles with disenchanted animators, and just as a TV boom led to start-ups poaching its staff. 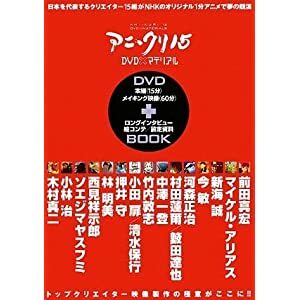 There is surprisingly little about this in Tsugata’s book, but if we’re prepared to assign credit to Okawa for some of Toei’s achievements, then surely we should also consider the degree to which he may have been responsible for the agitation, strikes, disputes and lock-ins that characterised the studio’s troubled years. Certainly, there were grumbles at Toei Animation about a brand of cronyism that favoured employees parachuted in from railway affiliates and sister companies, rather than the artists who did the actual work. One of the most infamous of the angry voices was one Hayao Miyazaki, a shop steward who pushed for workers to be paid for what they did, rather than which branch of the company they hailed from. Okawa’s training scheme led to Toei’s nickname as “Toei University”, but by the late 1960s, his business model was hopelessly outmoded. He had funded the training of the bulk of the anime industry, including Miyazaki himself, but in doing so, he had paid for the mentoring of countless rivals. He remained adamant that television was not the enemy – it might have seemed like cinema was suffering at the hands of home viewing, but Toei Animation turned a pretty profit making hundreds of animated adverts. Shortly after Okawa’s death in 1971, Toei pivoted to a leaner model, becoming the centre of a diverse web of companies formed by its former employees, outsourcing many jobs and letting the subcontractors take the risks. 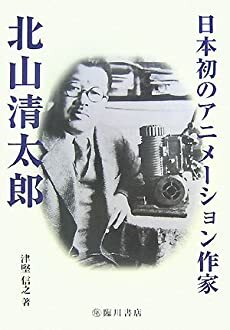 Tsugata finishes his book with a prolonged meditation on Okawa’s legacy, both visibly in terms of the modern output of the Toei studio, and invisibly, in terms of its competitors, many of whom owe their founders’ education to Okawa’s schemes. After all, Nerima ward in Tokyo is known today as the anime district because it is the location not only of Toei, but of Toei’s many satellites. 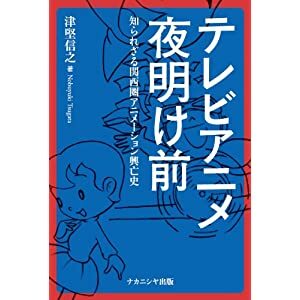 Nobuyuki Tsugata has already published books on the careers of Osamu Tezuka and the pioneering animation of Seitaro Kitayama, as well as broader studies of anime history as a whole. 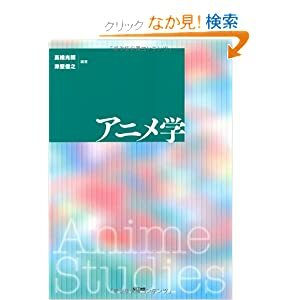 Last year he co-edited Anime-gaku, the first truly successful attempt to discursively construct ‘anime studies’ as an object of knowledge, delineating Japanese animation as a field of academic enquiry in and of itself, rather than as a subset of film, business, culture, media or any other discipline. And while far too many of his international colleagues continue to fritter away their lives in endless studies of What Some Fans I Met Think of Some Anime They’ve Seen, Tsugata continues to soldier on in the dusty archives of anime history and biography, rescuing forgotten sectors of the business, and mounting persuasive arguments that expand the nature of anime as we know it. As so often happens in the media, artistic heritage is often left in the hands of the people who made it in the first place – usually because nobody else really cares until it’s too late. Japanese animation history is dominated by the twin big-bangs of Toei Animation and Osamu Tezuka’s Mushi Pro, in part because they resulted in works and workflows that can still be found today. What about all those other studios that fell by the wayside or didn’t have a publicity-hungry manager at the helm? What about all those studios that churned out work that never got collated on DVD or shown at film festivals? As Tsugata notes in the introduction to his latest Japanese-language book, Before the Dawn of Television Anime, it’s like some areas on the map of anime history are still marked terra incognita. Many people have at least heard of TCJ (Television Corporation of Japan), mainly because this commercial animation company, since renamed Eiken, is still at work today, most famously as the production house that makes the TV series Sazae-san. But TCJ’s advertising past, usually dismissed in a single line before discussion of its TV programming output, was truly massive, amounting to more than 1400 cartoon adverts between 1954 and 1960 (and more than 2200 if you include those live ads for which TCJ provided animated diagrams or titles). Tsugata’s focus is not merely on forgotten byways of anime history, but also on forgotten geography. Although it is widely known that the Japanese animation industry, along with many other forms of production, relocated to the Kansai region after the devastating Tokyo Earthquake of 1923, Tsugata argues that Kansai remained the centre of Japanese animation for the next three decades, only ceding primacy to Tokyo with the establishment of Toei Animation in 1956. His narrative picks delicately at the Tokyo-centred bias of other Japanese books, pointing out that many landmark events in Japanese media, including, for example, the irresistible rise of Osamu Tezuka, actually ‘happened’ in Kansai. He also notes that Toei’s own press and self-commemoration has largely overshadowed the achievements of Saga Studio, a Kansai start-up, also established in 1956, which played a highly influential role in the first decade of Japanese animated commercials. Tsugata diligently chronicles the perils of anime historiography. The men and women who churned out thousands of cartoon commercials in Kansai were not part of the academic conversation about what anime was. Hardly anyone has bothered to remember their work, because their work was usually the bit that happened in between the TV shows, and before the main features that anime historians actually bother to write about. This is despite the fact that the Kansai area studios turned an impressive buck, undeniably formed a part of the 1950s zeitgeist, and displayed a mastery and economy of line that must have made animation in the 1950s look considerably less ‘Japanese’ than it did after 1963. Tsugata’s cover includes one such image from several dotted throughout his book: a charming, dynamic layout of a pilot scattering leaflets from his plane, drawn as part of an Osaka Eiga commercial for a local prefectural election. Tsugata has never been afraid of doing the legwork, scraping information from wherever he can. In his biography of Seitaro Kitayama, he famously reconstructed part of Kitayama’s 1920s studio output in true Blade Runner style, by enlarging a staff photograph to read the schedule stuck to the wall in the background. For Before the Dawn of Television Anime, he diligently tracks down the surviving industry veterans, now with an average age of seventy, and gathers testimonials that restore much of the Kansai story to narratives of anime history. These teams, often working out of pokey six-mat rooms and identifiable only by the occasional initials in the corners of their sketches, were responsible for the animation in some of the iconic Japanese adverts of the 20th century, including commercials for Nisshin Cup Noodles, Vick’s Cough Drops and Matsushita Electrics. Some of their works were 90-second narratives, others merely ten instructional seconds inside a commercial filed as “live action”, but with a little animated section explaining how cockroach spray works, or how menthol clears out your tubes. They were also responsible for the creation of iconic characters such as Yanbo and Mabo, the twin tykes who shilled for Yanma Diesel, ubiquitous in the 1960s but forgotten now because they didn’t appear in the kind of anime that gets archived or remembered. Tsugata’s narrative also fills in a gap in accounts of “art” animation, revealing how art-house animators like the award-winning Renzo Kinoshita actually paid the bills while tinkering with their high-brow creations. Far too many researchers seem to assume that art-house animators spend all day sitting in garrets playing with sandtables, supported by some magical and secret government super-subsidy, whereas many of them, including the Oscar-winning Kunio Kato, have day-jobs that often get left off the resumés that are sent to film festivals. I wish such information was made available more frequently, as it might smack a degree of realism into the aspirations of some arts students. Tsugata does not shy away from it, and reveals that far from working in an adman vacuum, the animators of the Kansai set had strong and often reciprocal connections with big-name animators like Noburo Ofuji and Hakusan Kimura (himself the founder of Osaka Eiga in 1960). Tsugata finishes with an outline of the vestiges of the old Kansai anime tradition, as kept alive by such companies as today’s Kyoto Animation. 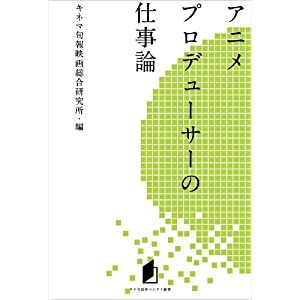 He also returns to a subject familiar from some of his earlier books: the little-discussed admission that even the big names in Tokyo were keen on ad revenue to pay the bills. Tsugata has argued before that Toei Animation itself was set up partly in anticipation of the money that could be made from the expansion of commercial Japanese television in the 1950s, and staff from Mushi Pro have admitted that they used to get paid a lot better making adverts with Astro Boy in them, than they did making Astro Boy itself. 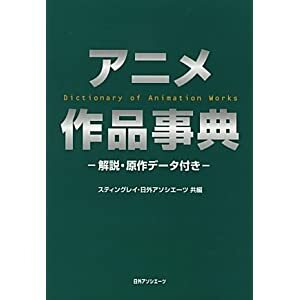 His conclusion recalled a passage I had read elsewhere, in the posthumously published memoirs of the animator Soji Ushio, who had once decided to visit the famous canal-side studio building where the renowned Iwao Ashida had made many of the big animated splashes of the 1950s. Instead, when he arrived at the address, the canal had been filled in, the studio itself had been turned into a tatami shop, and there was no sign of the man whose company Ashida Manga Eiga had once been the biggest name in the Japanese animation medium. How soon they forget. There was a time when the $17,000 budget for an episode of Getbackers was considered obscenely low. Now industry figures claim that allocations of anime budgets have sunk to a shocking $14,000. That’s less than ten thousand pounds, divided among every sketch artist, colourist, animator and designer on an episode of TV anime. It means that there are some anime that cost less to make than this issue of NEO! Terrifyingly, it suggests that it can now cost more to dub certain anime into English than it does to make them in the first place. Unsurprisingly, some insiders are already questioning the figures, and asking if this is not perhaps an attempt by anime’s notoriously cunning accountants to squeeze taxpayers’ money to pay for the likes of Naruto, which, let’s face it, is hardly begging on the street corner with a tin cup and an eyepatch. Meanwhile, of course, self-styled otaku prime minister Taro Aso (you’ll miss him when he’s gone!) wants a National Media Arts Centre in Tokyo Bay, a $120 million boondoggle where people can go and… well, nobody really knows yet. Watch anime. Read books. Look at someone’s colouring-in. “If there really is money for this Centre,” notes Junichi Takagi, the producer of Red Garden, “I’d rather see it going to renewing the Japanese animation business and hence our national industry.” The pundits agree. Nobuyuki Tsugata, a noted historian of Japanese animation at Kyoto Seika University, is precisely the sort of person to benefit from a big boondoggle like the Centre, as it would sure to require talking heads, sign-writers, catalogue writers and speakers. But Tsugata isn’t in it for the money, he’s in it for anime, and he can see what’s happening. “It is vital,” he told the Mainichi, “that we help medium- and small-scale anime productions.” Otherwise, there won’t be anything to look at, and after that I guess it’ll be nothing but cosplayers looking at each other. 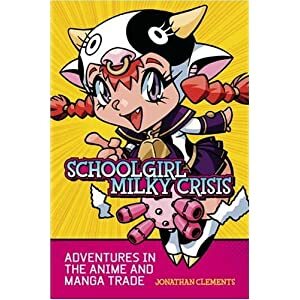 Anime has been heading this way for 20 years. The demographic decline in juvenile audiences (who are, whatever way you cut it, still a big part of the revenue stream), and the aging otaku sector have created an industry that is increasingly self-referential. Aso’s white elephant isn’t even the first of its type; it is merely the largest. There is already an “Anime Centre” in Tokyo that offers visitors the chance to watch certain aspects of the production process. Anime’s publicity relies on the hoary cliché that it is taking the world by storm… and yet what kind of storm is it if it has to go cap in hand to the government? What kind of storm is it if the average monthly salary is $700? The public already subsidise anime by buying it in the first place, now we must pay to watch it getting made, merely so that it is made at all!? Yoshikazu Yasuhiko, famous anime hyphenate, is having none of it. “Anime has the vitality of a weed. I want it to be left alone,” he told the Mainichi. “And with government support, I worry about potential restrictions being placed on freedom of expression.” Because nobody has yet asked if the Centre will be showing the Right Sort of anime. Or will Urotsukidoji be getting a subsidy, too…?